Buyers do not care what the press says, they want items that move off the rack and do not return. If the images here look OK .. they are not, you need this workshop. 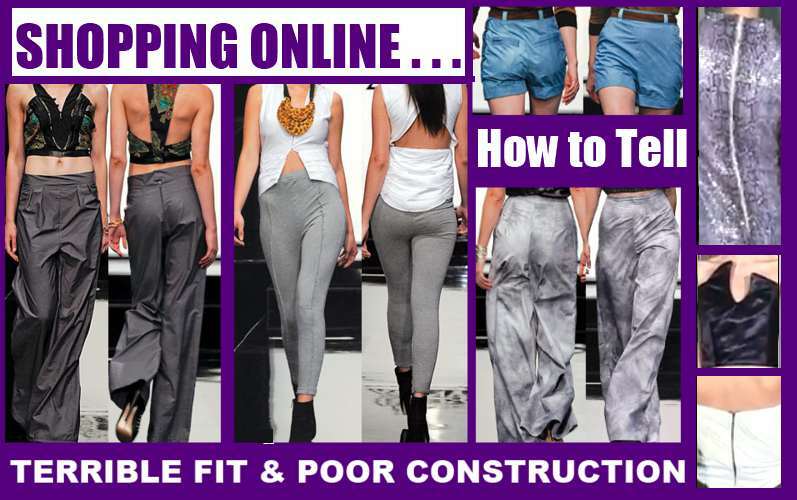 Fit and construction are key. Yes this is another workshop, with two versions. One for consumers who are purchasing and a second for the independent fashion set without professional training in fashion. We’ll also look at merchandising for price-points,$20 item is not be the same as a $2000 item. Craftsmanship, Quality of fabric, print, etc. Often I love the concepts of indie lines and wish they’d invest in a quality dressmaker! So often I see a blogger raving about a designer, then turn to the product and cannot believe what I’m seeing. Worse I know a particular line that gets major press, yet those buying that line keep complaining about the quality of workmanship. I am not surprised that despite their PR efforts they never break through! If you find yourself airbrushing you image to make clothing look great. stop and revisit the construction. Have you tested your cleaning recommendations. Then there is also durability testing. I took the designers leggings through a usability test with a dancer, sent her back to the drawing board to revise the back seam and crotch area of her patterns… before she went to production. another spoke to me after getting an item made in Africa… the crotch did not fit the american consumer. To save these she had to send them to a tailor, at an additional expense! Feel free to use the Livechat button or Contact us form to discuss package I offer! see full list at https://www.bonniesandy.com/category/workshops/ or Join our newsletter (signup at right) for dates of workshops and special offers. Posted in Uncategorized and tagged Boutique Solutions, Social Commerce, Virtual Fit, Workshops.